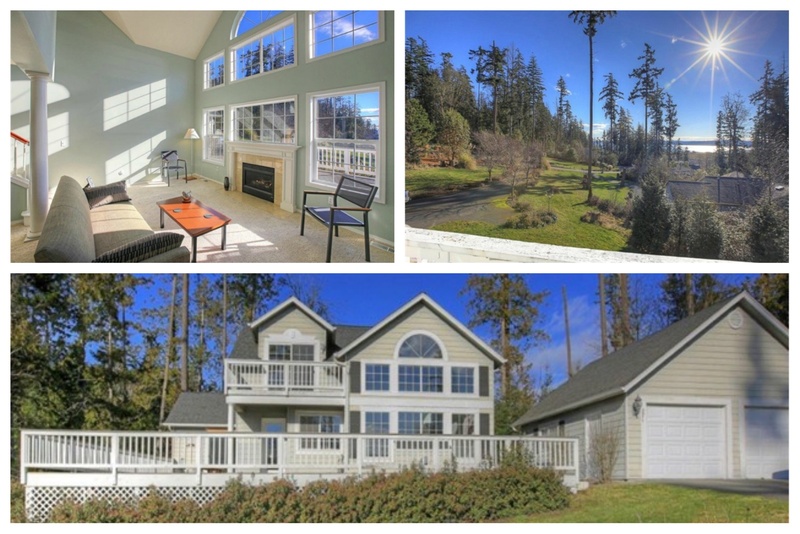 Beautiful Camano Island View Home! VIEW home in well sought after community with great BEACH RIGHTS, trails through trees to beautiful beach. Saratoga Passage, Olympic snow capped mountains, boat traffic is outstanding, you will love this community of SEASCAPE. Spotless interior offers southern exposure, propane fireplace, light & bright throughout, master suite with soaking tub, 3bedrooms, master could be on main or upper level. Large deck, sprinkler system, long black topped driveway, underground utilities, many amenities to make you happy. Glass Quest — Get Blown Away!